TANK was picked up running loose by a police man from Coral Springs Police Dept., and like many other times, instead of taking the dog to the AC they contacted our dear friend and Volunteer Catherine. She went with her son Nick and found a very BIG LOVING BOY, with a bad eye infection. He had Entropion on both eyes. The surgery was done to correct it, he was also neutered, fully vaccinated and also Microchip. 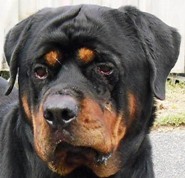 He is now at Mueller Animal Hospital waiting for his new Forever Home. Very loving dog he is. 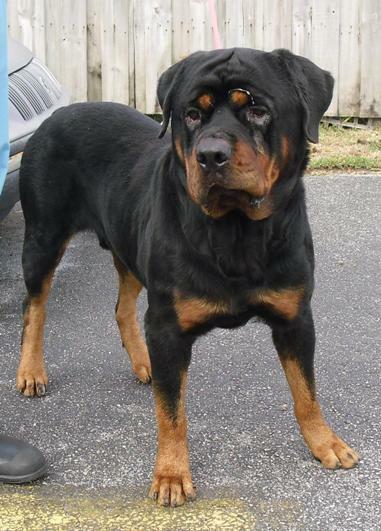 Come to meet him if you are looking for a nice male Rottweiler.